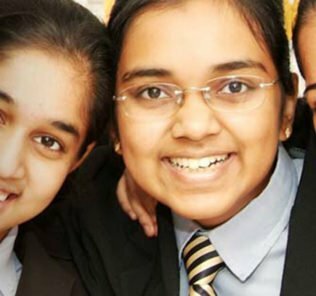 •	In its specialist technology provision and dedicated Academies (particularly sports and the Performing Arts) GEMS Heritage promises to redefine the benchmark for quality in the Indian school sector. 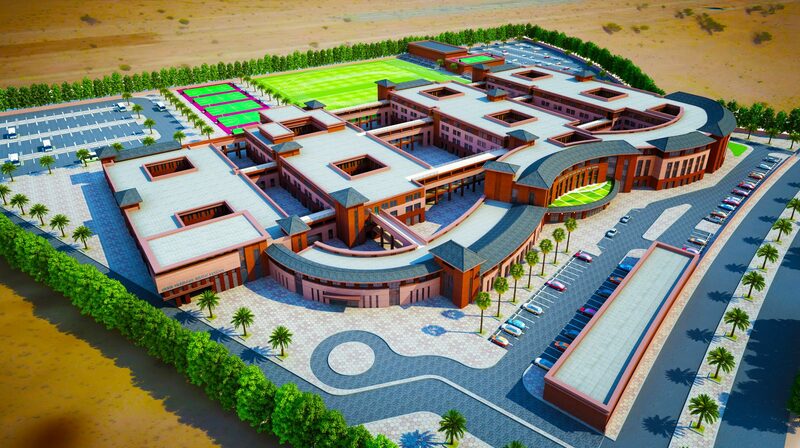 GEMS has set the bar high for Heritage promising a minimum KHDA Good standard of provision. We have little doubt that it will deliver. “With the opening of GEMS Heritage Indian School we are reaffirming our commitment to education in the country – and helping to take forward the vision of the nation’s leadership, which is placing an emphasis on quality education. 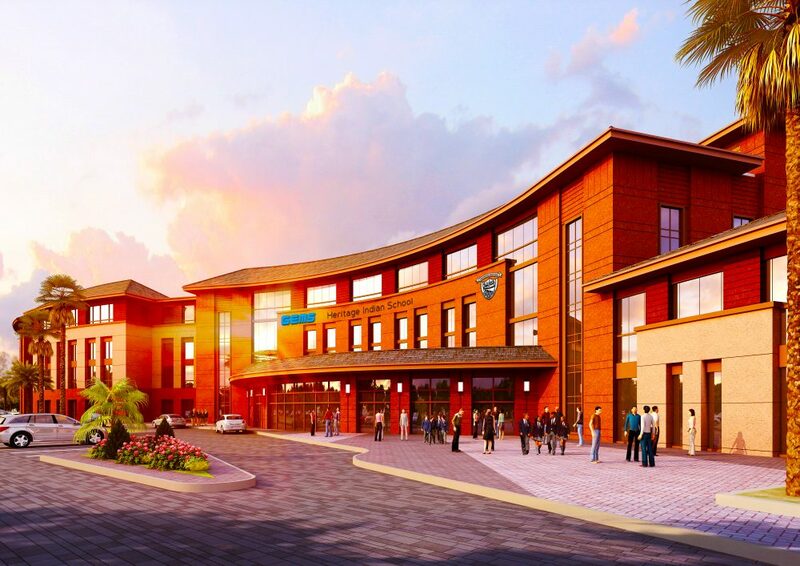 “We recognize there is a need for high quality Indian curriculum schools and we know that GEMS Heritage Indian School will further the reputation that GEMS Indian curriculum schools have already built in the county.” Dino Varkey, Group Executive Director and Board Member, GEMS Education. 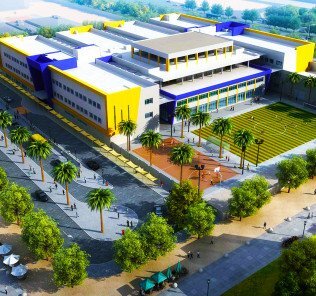 GEMS Heritage Indian School is a new 10,000+ capacity role Indian CBSE curriculum specialist STEAM focused school that will open in Dubailand in April 2017. 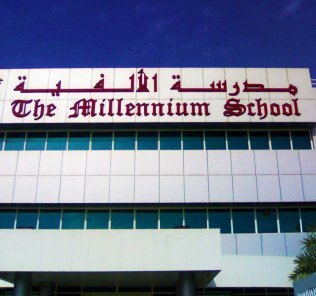 The school is currently hosted in GEMS New Millennium School . 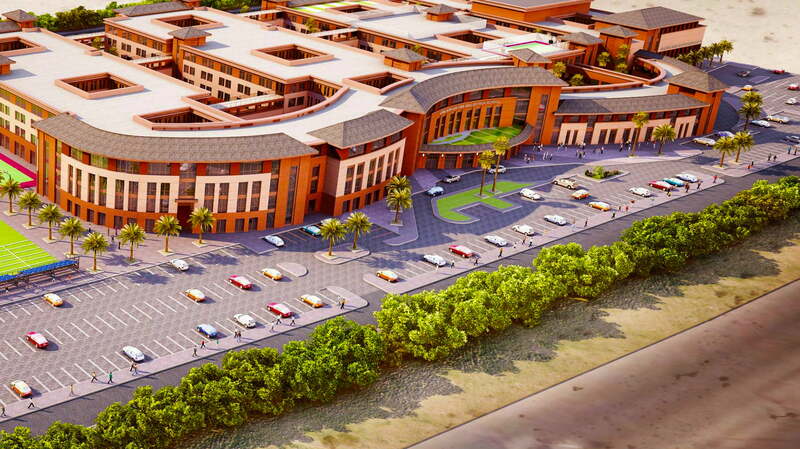 With GEMS leading Our Own English High School, it will stand as one of the largest schools in the Emirates. 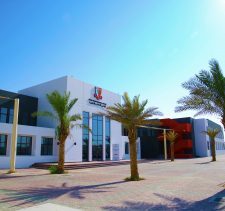 The school is currently open to Grade 10, but operating from the Phase 2 Building of GEMS New Millennium School in Al-Khail. 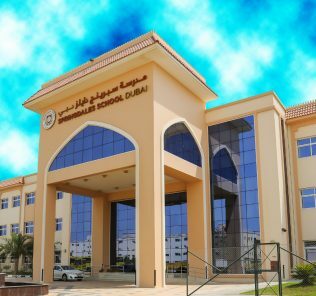 For students enrolling at the school GEMS is offering a significant 30% discount on the fees (which sees a reduction of between 4200 AED and 6000 AED according to phase on the advertised fees in our tables below) – and impressively is making available a range of scholarships for gifted children across the arts, sports and sciences. 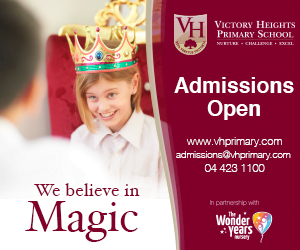 Parents are strongly advised to request scholarship details at the time of visiting the school. Visits “Learning Walks” are being made available daily between Sunday and Thursday between 8:00 am and 10:00 am at GEMS New Millennium School. The school is being modelled on the “Our Own” family of schools which, overall, and notwithstanding our concerns over over-crowding, provide stand-out levels of education within the Indian sector. 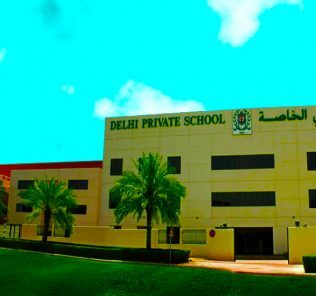 GEMS later-phase all-girls Our Own English High School is in the top-5 of all Indian curriculum schools in Dubai, and one of only three Indian schools to achieve the Dubai Inspectorate of School’s “Very Good” accolade – the second highest award of any Indian school in the Emirate. 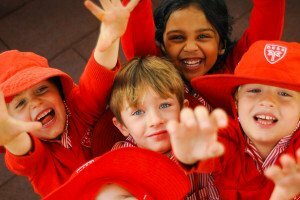 Our review of its sister school, GEMS Our Own Indian School can be found here. Our review of GEMS Our Own High School can be found here. Heritage is one of the most important of GEMS investments in the Indian school sector, and is clearly aimed at resolving a lack of places in the sector. 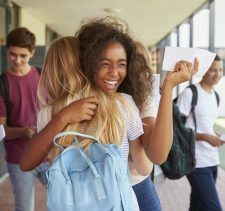 It is hoped that eventually its knock-on impacts will see all GEMS schools, and those elsewhere in the sector, being able to operate without overcrowding. The investment being made is significant. 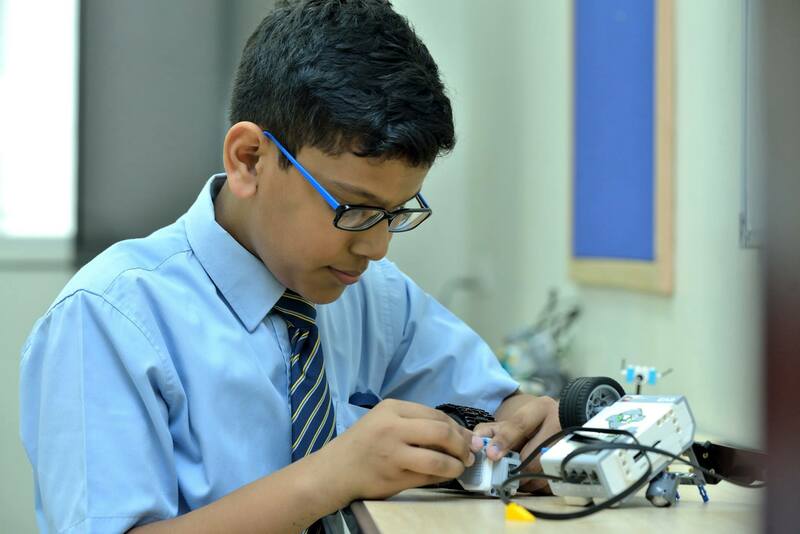 The basic ambition is to take the very best from each of the Our Own schools – already recognised for their exceptional delivery of the Post-16 CBSE Science subjects. 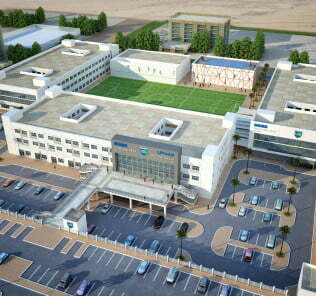 First, the Heritage school aims to be unique in Dubai in the breadth of its Tier 1 positioned technology specialisation. Its Labs facilities will include the spectrum of provision, including a dedicated LEGO Robotics/Mindstorms focused LEGO Education Academy. The level of investment in technology will be a first in this value fees sector in which Heritage is positioning itself. Second, Heritage will include a series of further dedicated Academies within the school, each focused in areas in which the “Our Own” schools have built up expertise. These include a Heritage Cricket Academy, Heritage Debate Academy and a dedicated Heritage School of the Performing Arts. 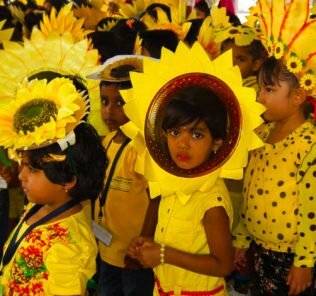 “GEMS Heritage will ensure that students gain mastery not only over academic principles, but also the doctrine around which success in the 21st century revolves. The enriched curriculum and additional facilities, which build on the history and excellence of Our Own English High School and all the GEMS Indian Curriculum Schools, will provide engaging opportunities to craft well-rounded and well-adjusted students. Subject choices extend across English, Mathematics, Science & Technology, Information Technology, and the Social Sciences. Optional language study is provided in Arabic, Hindi, French & Malayalam. All students will undertake industry placements as part of their education and the aim is for all subject to operate with an inter-disciplinary Science, Technology, Engineering and Mathematics (STEAM) focus. Following our interim visit to the school in its temporary home we found a very highly performing school. 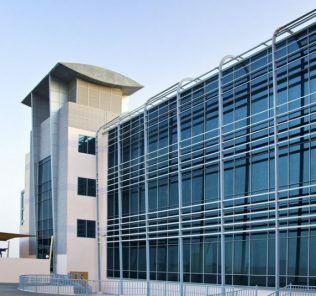 The KG section of the school is housed on the Ground floor (of 4 floors) within a wing of the GEMS New Millennium School in Al Khail. This provides access for KG 1 students to dedicated outdoor play areas per classroom, although the area was small and contained little in the way of equipment. There is however an indoor KG2 area inside which has been based around ‘home’ to encourage role play and experiential play. The KG 1 classes are light and airy and have zones for Construction; Literacy; Mathematic and “Home” which children can gravitate to freely. There is a maximum of 25 students in KG1 and KG2 with a Teaching Assistant per class and a ‘Nanny’ who rotates as required. Faculty are almost entirely Indian Nationals and the recruitment process is conducted mostly in India. Teachers have been recruited from curriculums other than CBSE specifically to garner best practice and the exchange of ideas. 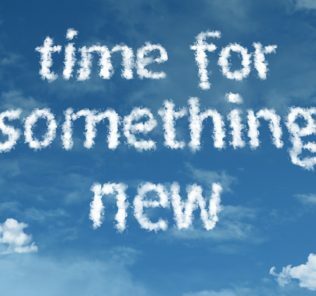 Professional development is ongoing with specific times set aside on Mondays and Wednesdays. There are currently 10 KG1 classes and 9 KG2 classes. 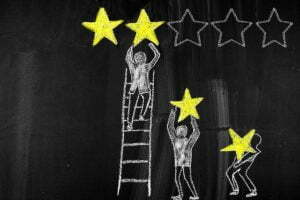 Whilst the School follow a CBSE curriculum, they adopt a strong sense of UK FS elements in the fundamental approach and incorporate best practise from both the English National and International Curriculums. We noted a recent good example of greater relevance and integration of themes and topics in a recent trip to the Sharjah Wildlife park, this providing for a very hands-on approach rather than simply text book based study. Parent Workshops are frequent and parents have access to Class Dojo App to experience as closely as possible the events their children are experiencing during the school day. Assessments play a large role and in this first week of the new academic term, the students were being appraised and their abilities being clearly established through a variety of play activities. Phonics are studied every day, and LEGO used throughout the school at various levels of sophistication including LEGO Robotics. 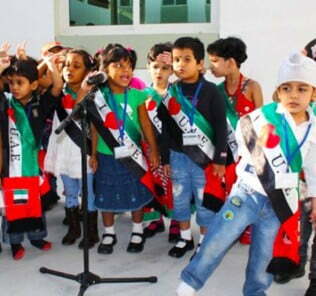 They are introducing elements of TIMS / PIPS and PISA even at KG in line with the UAE National Agenda. KG2 students were enjoying the independence of self-registration which involves the students writing their names on ‘post-its’ and attaching to the front (vertical) section of the teachers desk. Healthy eating is encouraged and the KG children bring a snack box for break time. 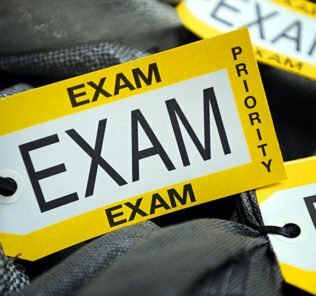 Currently Grades 1,2 & 3 are housed on the 1st Floor; Grades 4 & 5 on the 2nd Floor; and, Grades 6, 7 and 8 on the 3rd Floor. Classes are capped at 30 students (although currently average around 25 students with Grades 7 and 8 having an average class size of around 18 students.) Grade 8 is the highest existing Grade in the school, and has approximately 30 students. They will become Grade 9 in April 2018 and the school will expand organically until it reaches Grade 12. Currently there are 950 students from KG1 to Grade 8 with predominance in lower classes. 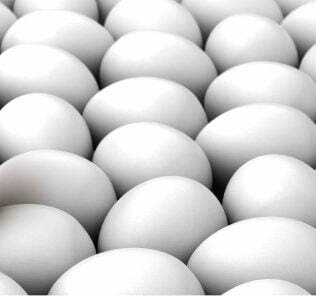 Of these 950 students, approximately 40 are identified with Special Educational Needs [SEN]. The SEN department has 2 full time members of staff to support children with a range of requirements including Autism. We were extremely impressed that the school stepped in to accept a young boy moving from Al Ain following his rejection by all other schools to which they had applied. General admissions are based on assessments and reports and CAT analysis – but this is an inclusive school in which testing is used only for the purposes of effective streaming. It is worth noting too that the School was a Regional Finalist in the Global Innovation Challenge recently held and significant support from Parents. In many ways discussing facilities is redundant as this is a temporary home for the school. However, they do include a STEAM Lab; ICT lab; Music room; Choir and Bands room; LEGO Robotics room; small Library (presumably as an interim); Multipurpose Hall (on 2 floors); Dance Room; outside space marked for courts; and an Art Room. Grades 1-4 rotate between Music and Dance, Grades 5-8 choose between them and the timetable allows for an hour a week. One feature we also found impressive was the choice to use Dance to support learning in Mathematics, Science and English by creating steps and movement to reiterate concepts the children might be struggling with. In English, for example, a Poem or Prose is brought to life through dance; in Mathematics, times tables were being translated into number formats and rhythm. The use of dance and drama in this way has been widely promoted by the University of Warwick in the UK (one of the UK’s top teaching schools) and something we have not seen often integrated so powerfully in the Emirates. It is used to good effect here. ‘Word Walls” are in several classrooms and an area was defined in the corridor too. This encourages children to identify ’new’ words and find the definition and meaning before recording this on paper which can be added to the Walls for other children to see. This is another excellent, and distinct, feature of the school. Language provision includes Arabic (which is compulsory), Hindi, French and Malayam. ECAs are either teacher-led (including Dance, Art, Music and various sports) or from external providers (including Ballet, LEGO Robotics, Leadership, French, Hip Hop, Karate and English). 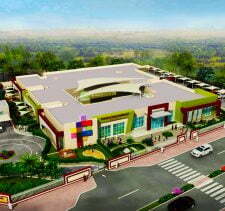 Prospective parents should note that the school is offering founding students across all phases a fee discount of 30%. This iss only available whilst the school operates from its interim home at GEMS Modern. When the school opens at its dedicated campus the founding dicsount will drop to 10%. Whilst the school is rapidly opening its provision at Modern in anticipation of the landmark new school’s opening in April 2018, it is too early to fairly reflect on the school. 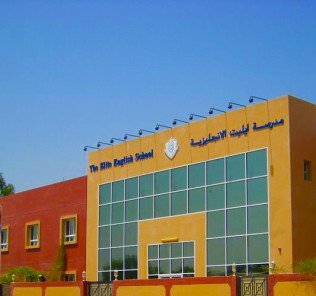 We anticipate making a first visit to the new school prior to its launch in Dubailand and will update parents at that point. In the interim what is very clear is that the school is firing on all cylinders in its temporary home. This is not a school that is biding its time. Students enetring the school now are being educated – and inspired – to a very high standard. 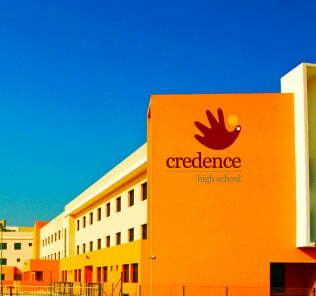 GEMS has almost five decade’s experience in this sector – and, as importantly, its reputation with the government in delivering solutions to the significant lack of places in Indian schools to some degree rests heavily on ensuring that Heritage provides a very high quality of education, guaranteed by GEMS to be at a minimum “Good” standard of provision. With this level of experience, and with KHDA “Very Good” schools already operating in this value fees sector behind it, GEMS knows how to deliver. That should give prospective parents confidence that Heritage will meet GEMS published and ambitious aim for Heritage to change the landscape of schooling in Dubai. Prospective parents should note that we have now been advised by the school that the currently advertised scholarships are not available. Ratings below are awarded by teachers and students at Heritage at its pre-launch location at GEMS Modern and may not represent final scoring achieved by the school when it opens in its landmark new school buildings in Dubailand in April 2018.